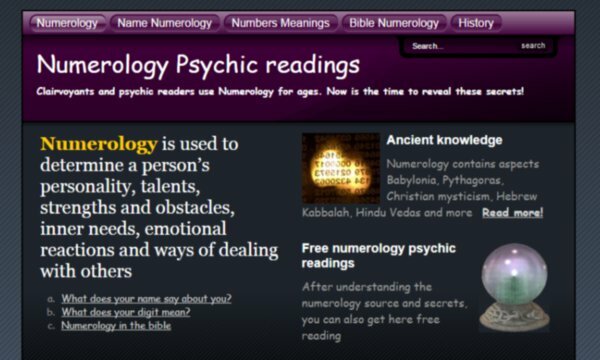 Numerology is a fascinating mystical field, discovered separately by Babylonians, Pythagoreans, Christian mysticism (on the Bible), Jewish Kabbalah, Hindu Vedas and others. Can they all be wrong? The Kabbalah numerology has long deep roots, and is incorporated in the bible. 1. 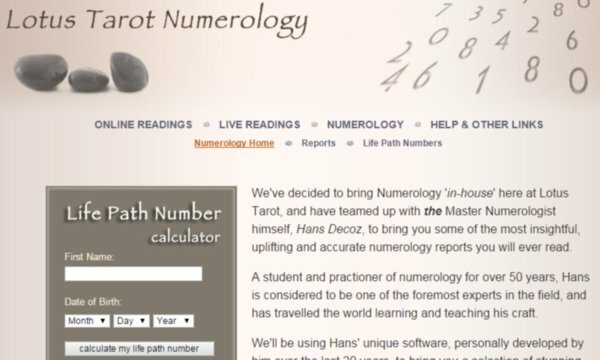 Here we will show you how to calculate your numerology number and teach you how to calculate for your friends and family. 2. You will find what your name means according to numerology kabbalah readers. 3. Numerology in the bible - catch what so many bible readers have missed. 4. Numerology origins and history. 5. Free numerology reading (as many readings as you like).